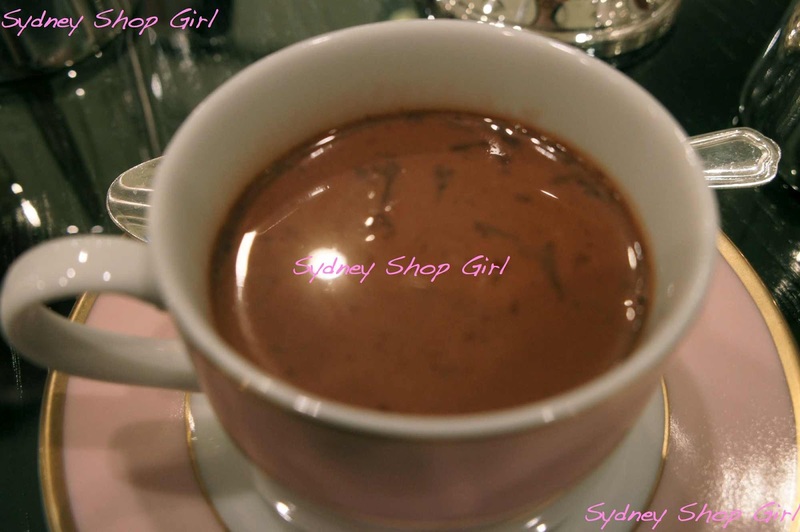 Sydney Shop Girl: Steamily Dressed By Rosie Pope. Macarons With Good Friends. Steamily Dressed By Rosie Pope. Macarons With Good Friends. It's a laid back kind of Saturday afternoon here at SSG Manor. The sun is shining and I've just had a lovely morning out window shopping and snacking in the CBD with good friends. It's the kind of day for a whatever comes to mind, happy kind of post, really. Let's start with Rosie Pope. Up until the last few weeks, all I've known about Rosie is that she stars in Pregnant in Heels and is a professional maternity concierge to expectant couples in Manhattan. Then I found myself opening an email from Gilt (always a bad thing for my credit cards) announcing a flash sale of the Rosie Pope Maternity label. 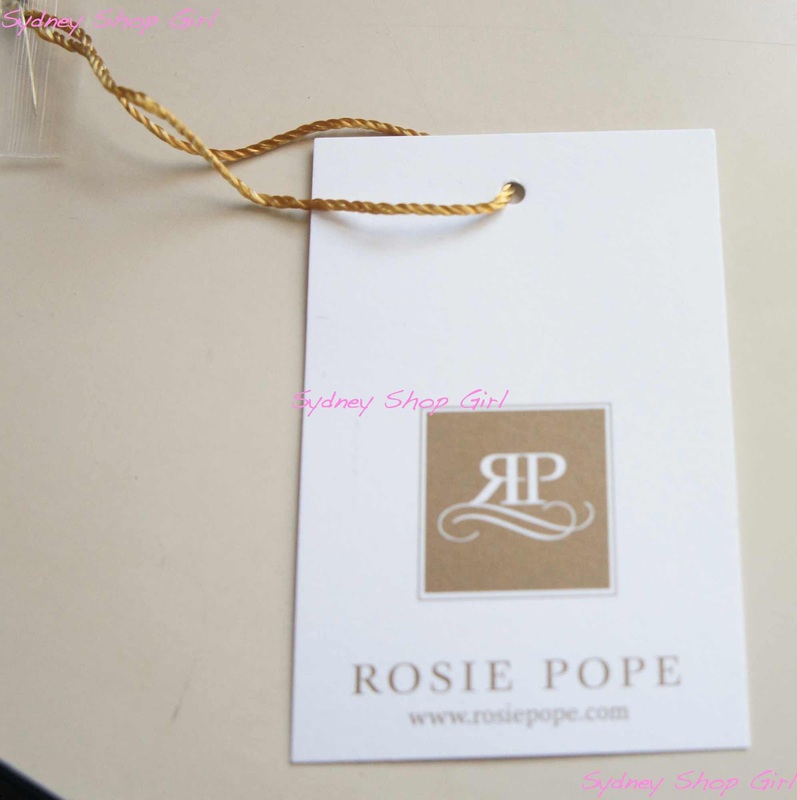 It turns out that Rosie began the label 2 years before Running in Heels. In between all of her projects, she is also the mother of three children. I don't know how she does it. What I do know is that she makes a mean maternity dress. The cuts are quite fitted compared to other maternity labels. I also like that many of her dresses are silk and fully lined. Jacket - Zara, dress - Rosie Pope Maternity, necklace - Red Phoenix Emporium, flats - Delman (heavily discounted at the Saks outlet, Hawaii 2011), bangle - Mai Tai Collection, bump - 25w3d. 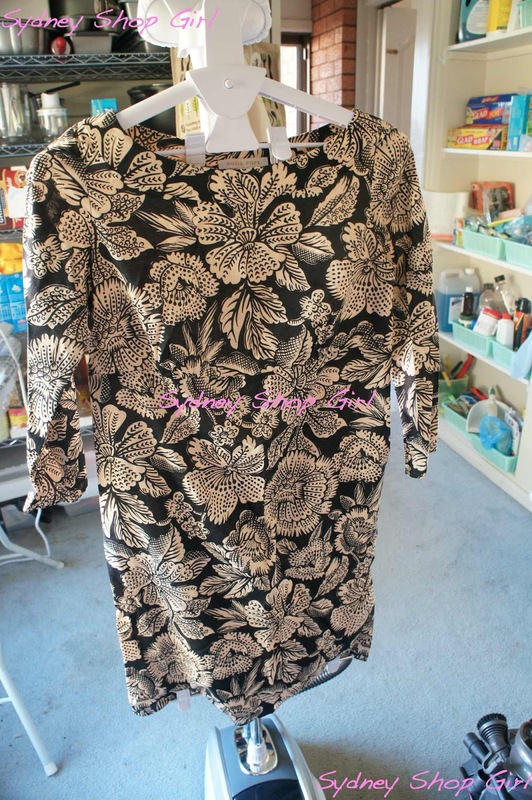 I got this silk jungle print dress for $68.40. 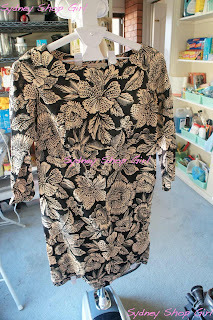 It has 3/4 sleeves and is perfect for spring. 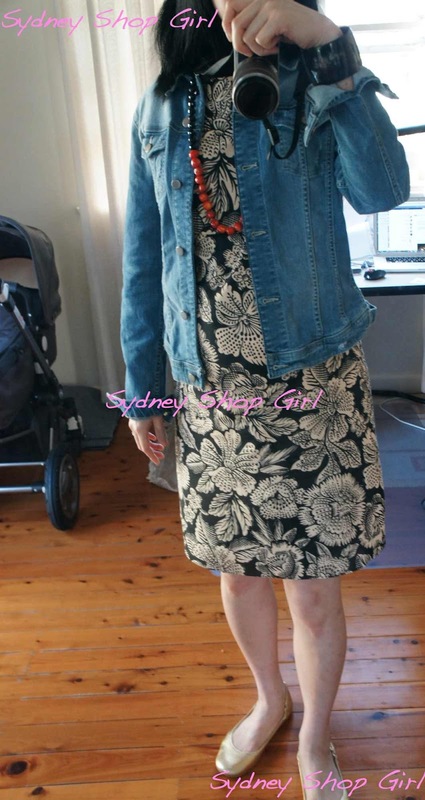 For the purposes of this photo, I was hoping to capture the essence of P-Middy in her downtime by wearing my new Zara denim jacket over the dress. As I strolled around the city this morning, I felt the presence of Pippa Middleton and with each step and that somehow the Middleton sisters were sending their good hair vibes to me as well. Besides trying to figure out the point of that last paragraph, you may be quietly wondering just how I got a silk garment looking so perfect and crease free despite it arriving to me flat packed via DHL. 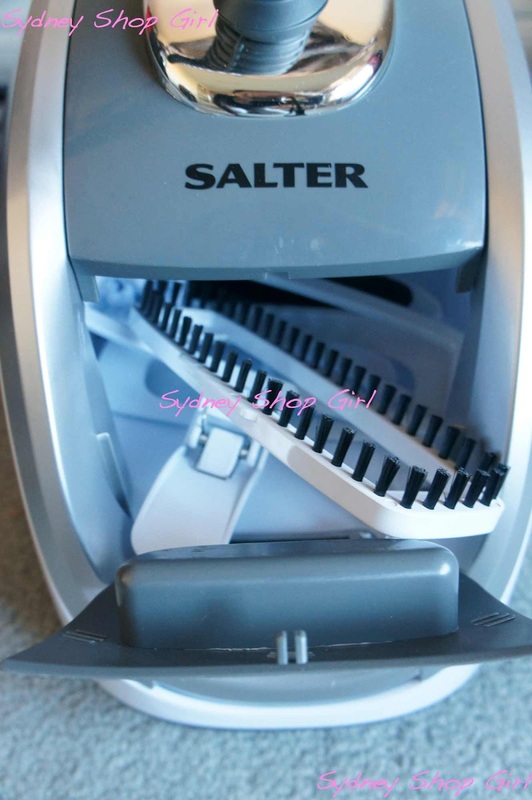 Built in adjustable clothing hanger that screws into the top of the steamer. I have three words for you. 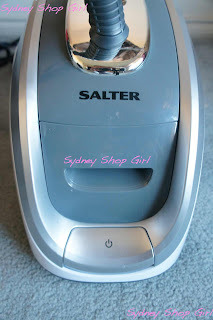 Salter PerfectSteam Professional. I got mine for $108.99 at Costco. Power switch as the base of the steamer. 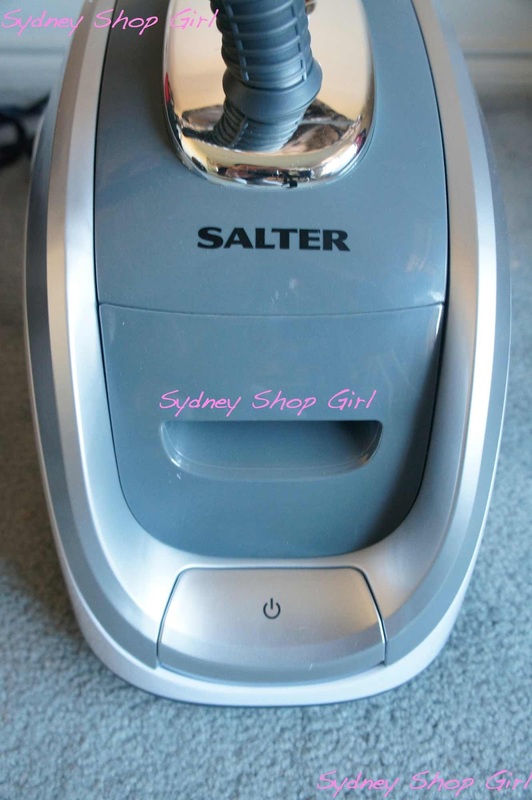 It's compact, light and has a wheeled base. There's an storage box for accessories built into the unit. 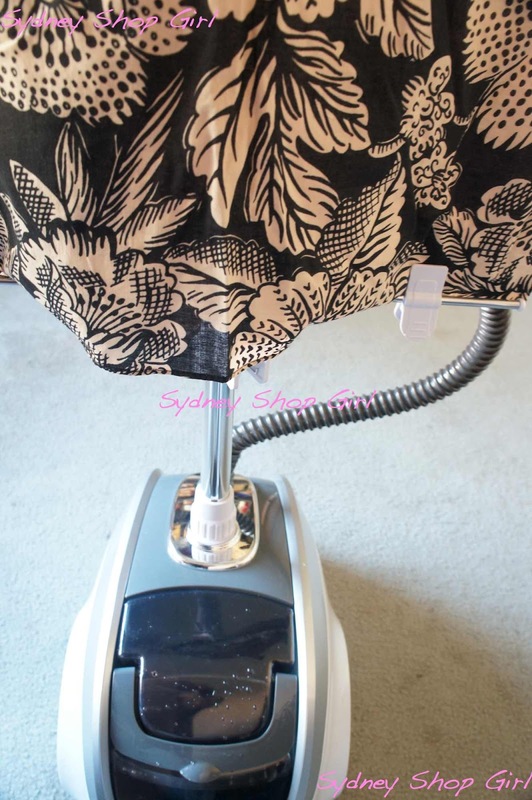 Besides steaming clothes, the machine can also be used on soft furnishings. 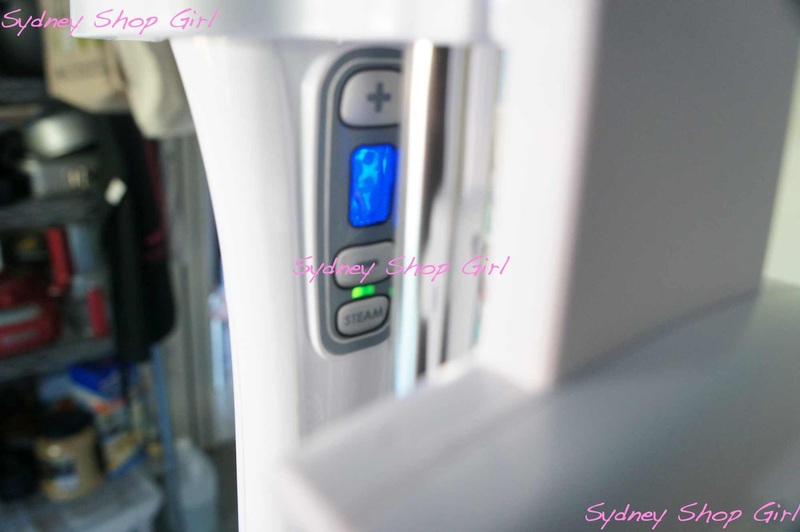 Hand held steaming unit with controls on the back. 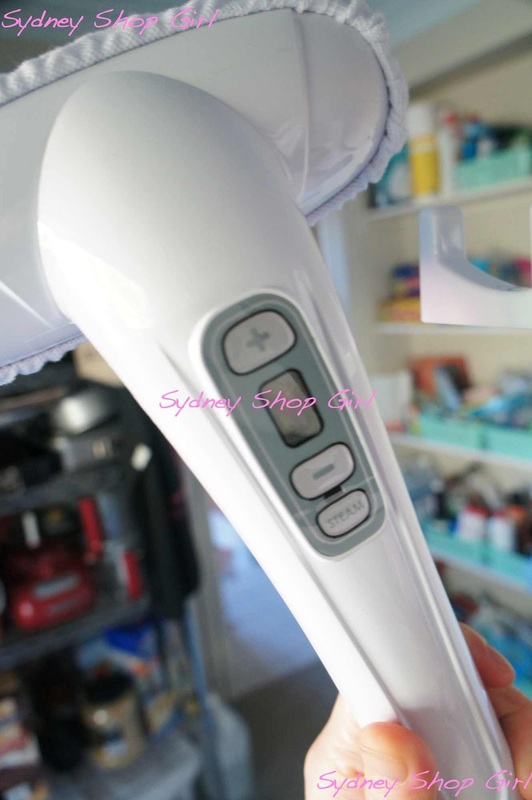 The hand held unit is pretty self explanatory and there are white fabric covers for the steamer to diffuse the steam when used on clothing. Backlit display showing strength of steam and power status. There's a 15 second warm up time and then you're ready to steam away. The water source is an easy to fill tank in the base of the unit. In the past I've been a bit afraid of ironing silk for fear of burning it. But the steamer was a breeze to use and very quick as well. Within minutes, I'd gotten rid of all the pesky fold lines in my Rosie Pope dress. Professional results at home, what's not to like? These days, $109 doesn't get you very far at the dry cleaners. Dare I say it but this steamer is going to pay for itself within weeks. Garment clips on the stand hold garments tight as they're being steamed. The water tank is in the bottom of the photo. It lifts out easily. The only down side is that filter needs to be replaced every 40 hours of use. I'm not sure where to get replacements but I'm sure Ebay will have the answer for me. Almost as perfectly turned out as Rosie Pope herself, the logical place for Carly Findlay, her gorgeous mum and myself to have morning tea was Laduree at Westfield. We decided to sit down amongst the topiary, pink and gold china and generally genteel confines of the salon area (it was a bit glam to be called a cafe). It's been 5 days since opening and the line for takeaway macarons is still 20 people long half an hour before opening but the wait for a table is considerably shorter. 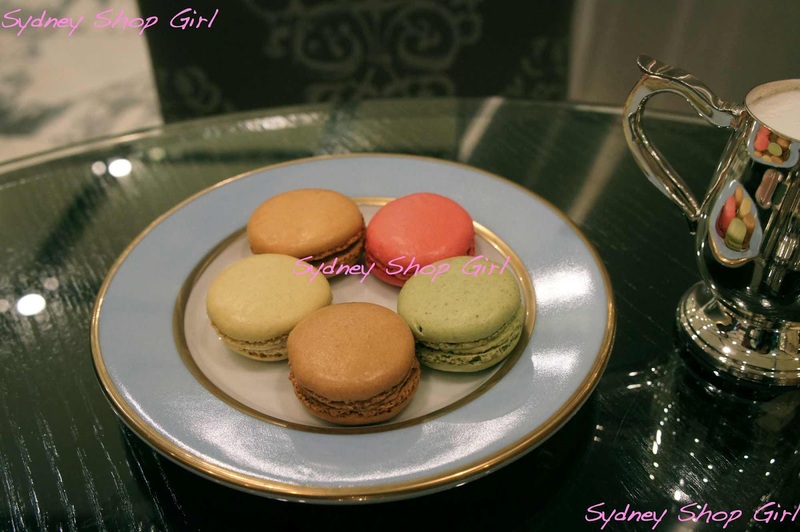 Dine in macaraons, $4 each. I've now had a pair of macarons every day since Laduree opened in Sydney and I'm all the better for it. I'm obsessed with the salted caramel and coffee flavours. We each had a hot chocolate as well. The chocolate is served fondant style and though not thick is just sweet and rich enough. We were given some frothed milk on the side and I preferred the hot chocolate with milk. I will be a ruined woman when and if Laduree decide to do a takeaway serve. As an aside though, how adorable would the cups be? Pleasantly full from our macarons and hot chocolate, the three of us hit the shops for a focussed search of the racks at Zara. Carly hit pay dirt with an amazing floral jacket that I cannot reveal anything more about because it's going to feature at a very exciting event. As you well know, power shopping is hungry work and before we knew it, lunch time rolled around. Makanai is just up the road from Westfield and has been my go to place for quick conveyor belt sushi for years. I tried the teriyaki chicken today. It was around $8 and came with miso soup. 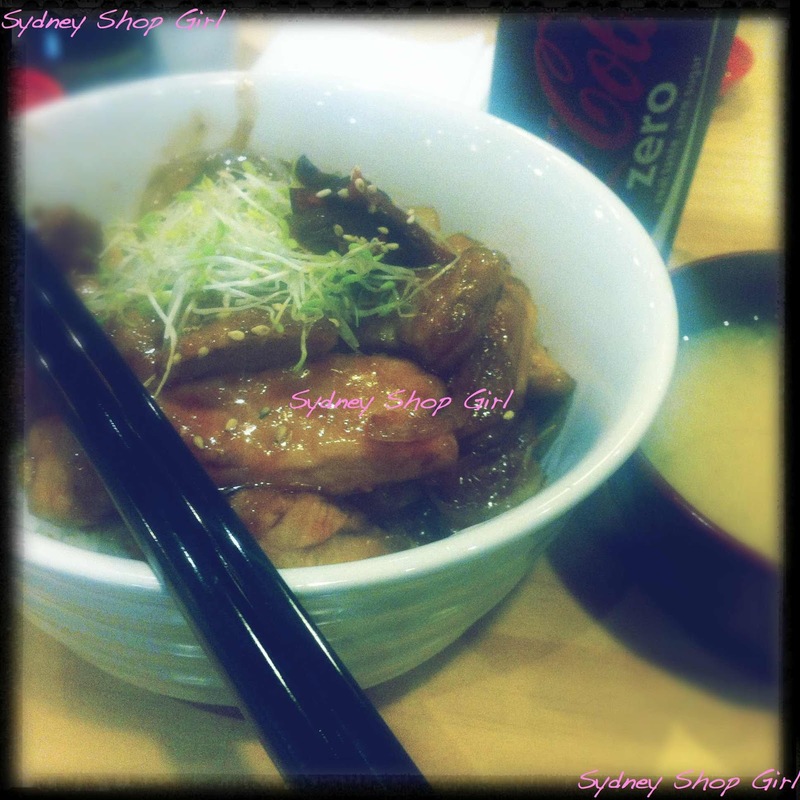 The chicken was lean and the teriyaki sauce a glossy and comforting partner to it. The miso wasn't too salty. As far as cheap eats in the CBD, Makanai still has it. I hope you're having a fabulous weekend wherever you are. May you be surrounded by friends, perfectly pressed clothes and good food as well. SSG I am a sucker for steamers but have always be disappointed with the end results spiiting water everywhere. This looks the business and has good reviews on amzon as well. Is your's the 250 or 350? Really happy with it. So quick and just as easy as going to the drycleaners. That dress is beautiful on you, an thanks for the review of the steamer too! I've always wanted to try one but wary of getting one without a good review. Cassis violette is my macaron flavour of choice. I would love a steamer. But lack of space makes me think it will be a while yet. I'm so glad you and Carly had fun in town and escaped before all the trouble broke out. What an eventful day it was. The post about Steamily Dressed By Rosie Pope is important because I love the steamer I have. I use it every day. subject that has been discussed for decades. Excellent stuff, just wonderful!